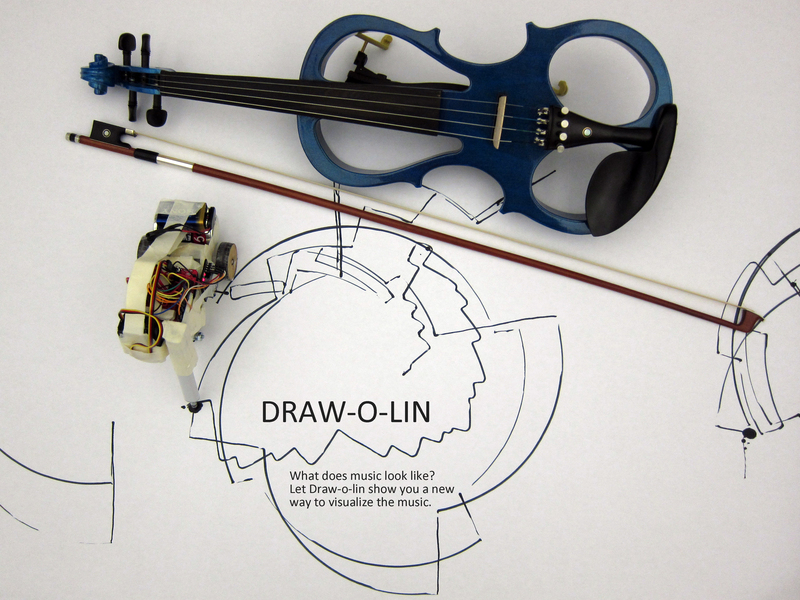 Draw-o-lin is an interactive robot that visualizes music. The performer plays an electric violin connected to a computer. A Python program running on the computer uses Fast Fourier Transform to analyze the pitch and speed. 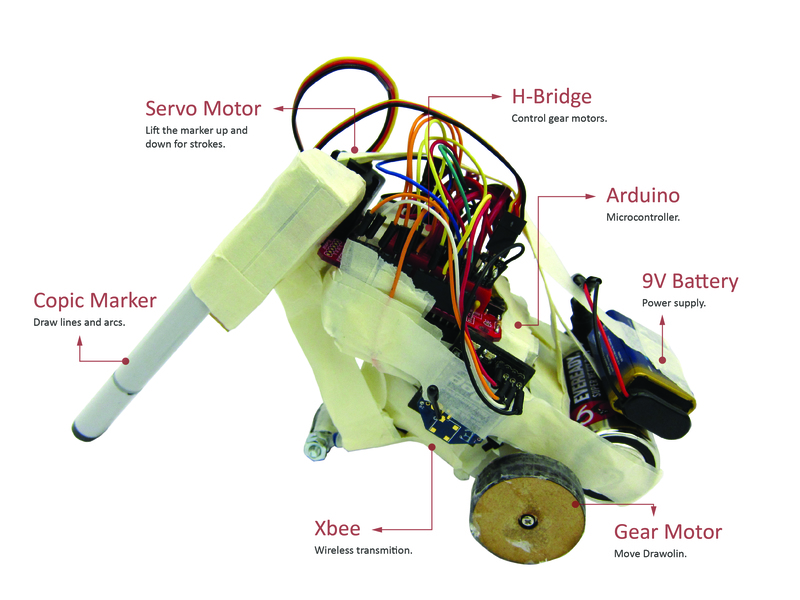 Then the program sends wireless drawing commands to the mobile robot. The drawing patterns vary according to the performer and the music. What does music look like? Let Draw-o-lin show you a new way to visualize the music. You can play violin this way. When performer plays a higher pitch compared to the previous one, Draw-o-lin goes forward and backward to draw lines. When performer plays a lower pitch compared to the previous one, Draw-o-lin rotates to draw arcs. The line Weight that Draw-o-lin draws depends on the volume that performers play. The length of lines that Draw-o-lin draws depends on the tempo that performers play. Thanks to Huaishu’s video recording, Deren’s H-bridge, Zack’s help in mechanics, Shawn’s gear motor prototype, and Prof. Mark D. Gross.